After a disaster such as a storm, hurricane, tornado, earthquake, or forest fire, one of the biggest considerations is housing for people who were displaced. Even disasters with a low mortality rate can leave hundreds homeless. Finding temporary housing solutions is therefore one of the biggest challenges in disaster management; an ideal solution will feature homes that are durable, weather-resistant, easy to set up, and easy to transport. In addition, temporary housing should still have basic amenities such as electricity and HVAC systems. Conex container homes meet and exceed all of these requirements, making them the top choice for temporary disaster housing. Since storage boxes come in standard sizes, they are compatible with preexisting channels of transportation, meaning that no out of the ordinary arrangements need to be made for their transportation. 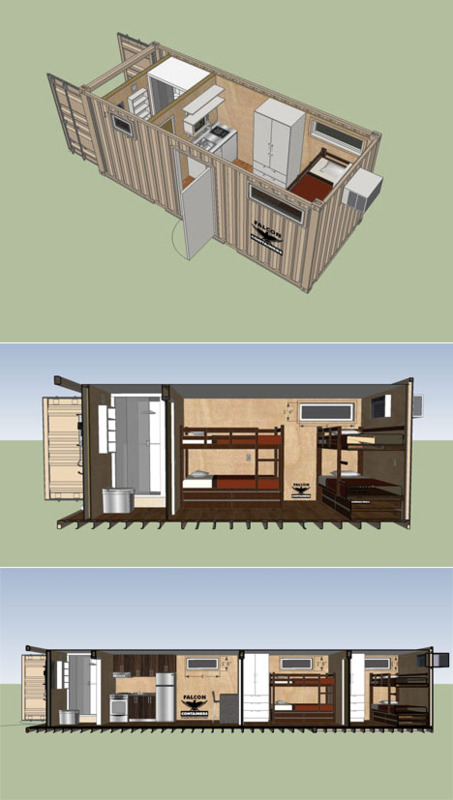 Therefore, Conex container homes can be quickly and efficiently shipped to wherever they are needed most. Once the boxes are delivered, all that's needed for set-up is level ground that extends to match or exceed the size of the box. Again, this means that displaced persons will receive relief housing as soon as possible, with no inefficiency in transportation or construction. Building is one of the most lengthy processes when setting up traditional disaster housing, and Conex boxes circumvent that delay. In addition, Conex container homes are very secure, meaning that the inhabitants and their possessions will be protected from potential security breaches. Relief housing is by definition temporary, which means that it must either be torn down or stored when the need is gone. Conex container homes are designed to be stored easily and efficiently, with no space wasted, so that they will be available for use in future disasters. Conex box houses can be modified for the needs that different families and different climates will face. For example, they come in standard sizes ranging from 20 to 40 feet in length, meaning that large and small families can both be accommodated without wasting space. In addition, boxes can be stacked or joined when necessary to add even more space. To learn more about container structures from Falcon Structures, please click here.